The Iraqi government has seized two planes of the US-led anti-ISIL coalition member states that were carrying weapons to the Kurdistan Region without prior coordination or information of Baghdad, Head of the Iraqi Parliament’s Security and Defense Commission Hakem al-Zameli disclosed on Monday. He noted that a Swedish and a Canadian airplanes were going to fly to Iraq’s Kurdistan region, but they were seized after arms cargoes were discovered. Zameli called on the Iraqi foreign ministry to question the international coalition in this regard and warn the coalition members to avoid such moves in future. Last week, Iraqi volunteer forces discovered and seized US-made military hardware and ammunition in captured terrorists’ positions. 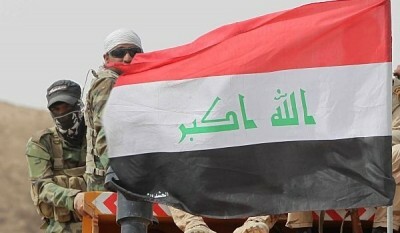 In early October, the Iraqi forces discovered US-made military hardware and ammunition, including missiles, in terrorists’ command center in Salahuddin province, informed sources said.